The Solaris Editors' Blog: Need a break from the Holly, Jolly overload? Recharge yourself with a shot of terror that will counteract all that over-cheer. Need a break from the Holly, Jolly overload? Recharge yourself with a shot of terror that will counteract all that over-cheer. On the tenth day of Christmas, Solaris gave to me... a welcome break from the festive atmosphere with two supernatural bites of horror. First World War Eastern Europe sets the tone for the mysterious and perilous train ride through the war-torn country. Four passengers need to understand what tragic and horrible secrets their fellow passengers – and the train itself – hold, in order to save themselves from the Hell Train. 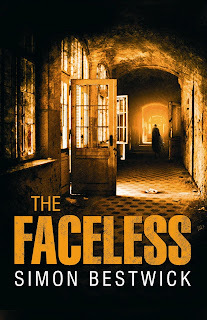 Having survived the hell train, we turn to the terror of The Faceless: vanishing people, strange mists, child abductions, terrifying visions, a history of cruelty and exploitation, but worst of all – what waits in the rooms of a long-abandoned hospital for them all. Got the creeps? Good. Maybe you can face that glitter-covered-santa-hat-wearing-smiling-singing-hyperactive-festive colleague tomorrow at 9am. Without that ‘accidental’ coffee spill. Four passengers meet on a train journey through Eastern Europe during the First World War, and face a mystery that must be solved if they are to survive. As the Arkangel races through the war-torn countryside, they must find out: What is in the casket that everyone is so afraid of? What is the tragic secret of the veiled Red Countess who travels with them? Why is their fellow passenger, the army brigadier, so feared by his own men? And what exactly is the devilish secret of the Arkangel itself? 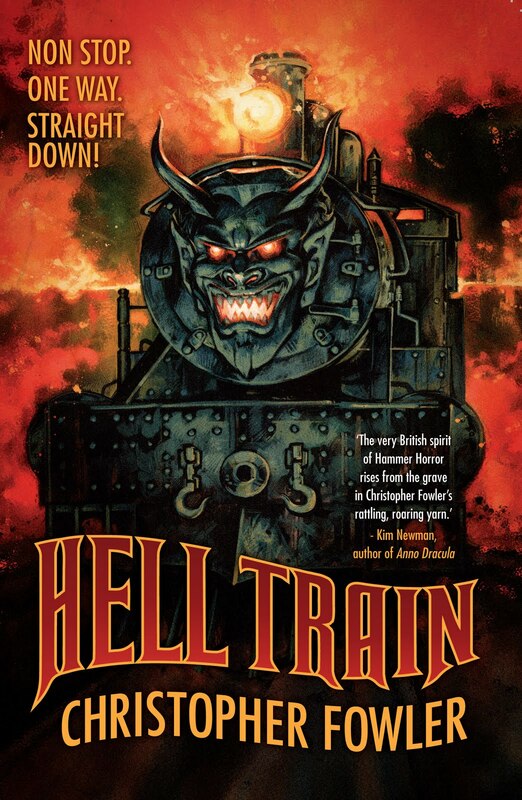 Bizarre creatures, Satanic rites, terrified passengers and the romance of travelling by train, all in a classically-styled horror novel. A town shrouded in mist. A buried secret, too terrible to tell. In the Lancashire town of Kempforth, people are vanishing. Mist hangs heavy in the streets, and in those mists move the masked figures the local kids call the Spindly Men. 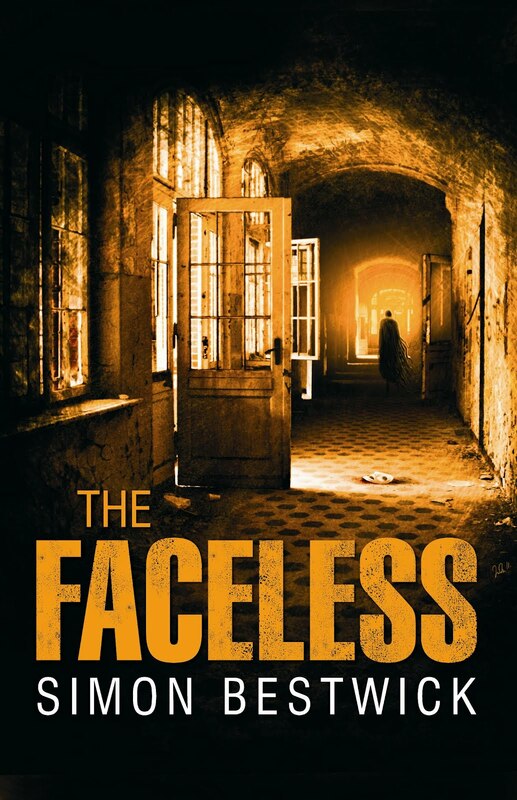 When two year old Roseanne Trevor disappears, Detective Chief Inspector Renwick vows to stop at nothing until she finds her. In Manchester, terrifying visions summon TV psychic Allen Cowell and his sister Vera back to the town they’d sworn they’d left forever. And local historian Anna Mason pieces together a history of cruelty and exploitation almost beyond belief, borne out of the horrors of war – while in the decaying corridors and lightless rooms of a long-abandoned hospital, something terrible is waiting for them all.